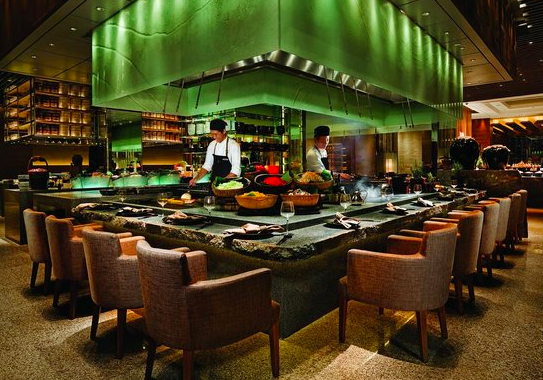 Undoubtedly, it’s been said time and time again: Beijing is a city with countless dining options. From mobile kowlongmian carts that roam the streets to five-star sit-down restaurants of all cuisines to even the infamous universal sprawl of fast food, this city is a sheer agglomeration of different cultures and unique flavors, sure to satisfy almost any palate that comes through. With that said, we all know that some of these options, unfortunately, aren’t exactly the family-tailored establishments we oftentimes look for when we want to take the kids out for a pleasant, feel-good lunch or dinner on the weekend. Fortunately, the city isn’t also without its countless establishments that cater perfectly to a comfortable group visit that is guaranteed to leave you satisfied and with full bellies. Feel welcome to try one of these five great family-friendly restaurants on your next family night out! As the old saying goes, no food tastes better than food you cooked yourself. 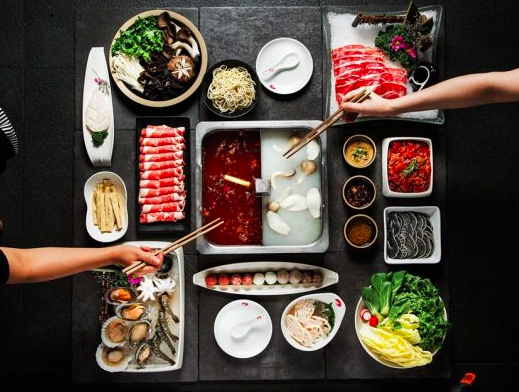 Enjoy a tasty and social experience as the family sits around a table with a hot pot in the center, where you can dip in all your favorite delicacies—from lamb to seafood to pork brains (yep! )—that arrive uncooked at your table. Be sure to order their shoulamian, a dish and a show rolled into one! You can find Haidilao at various locations throughout the city. Experience a refined rendition of a unique cultural cuisine. 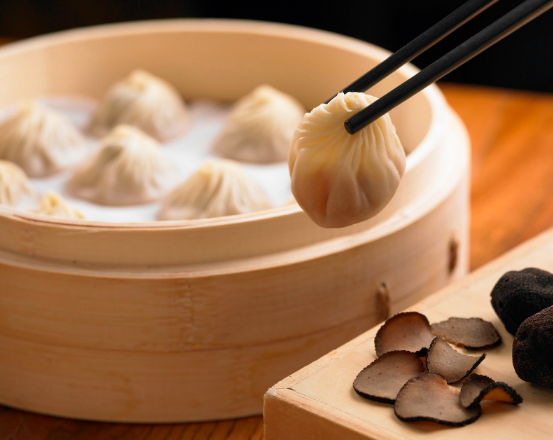 Din Tai Fung is renowned the world over for their signature xialongbao, a mini steamed dumpling packed with meat filling and a soup that is indescribably rich in flavor. Enjoy xialongbao and various other cultural delights in a vibrant and pleasantly busy atmosphere that plays homage to the vibes of traditional Chinese dianxinfang (“Dim Sum Houses”). You can find Din Tai Fung at various locations throughout the city. Ever dream of collapsing into an inviting beanbag chair and chowing down on a tasty meal at the same time? Well, Moka Bros has got you covered. From Poké bowls to quinoa salad to fresh smoothies, this restaurant offers countless healthy options that are a treat for your taste buds (and your waistline). Be comforted to know that the kids will be eating fresh and locally sourced ingredients, all while enjoying the fun, homey atmospheres their various locations provide for customers. 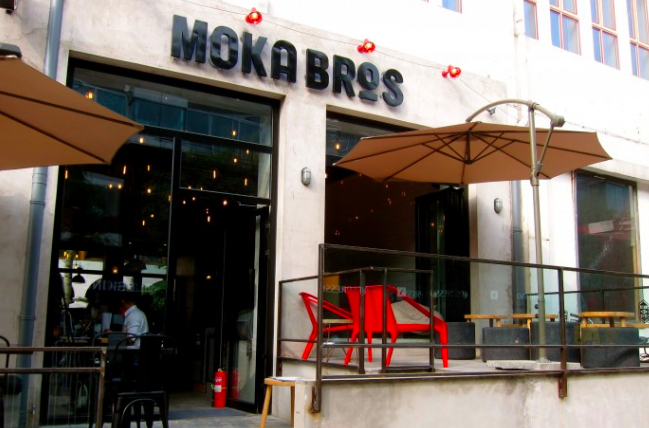 You can find Moka Bros at various locations throughout the city. A brew for the parents and a burger for the kids. 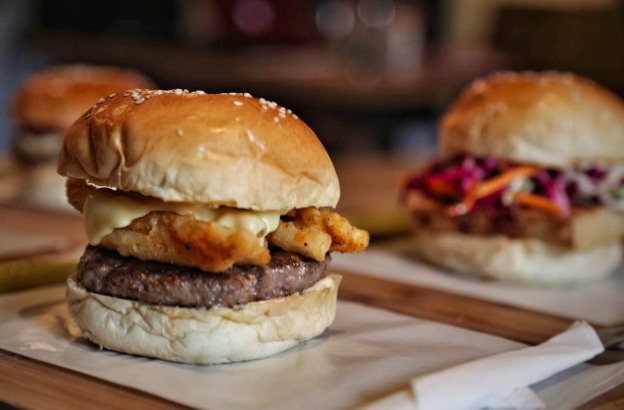 For years in tow, Slow Boat Brewery, first in the hutongs and now in Sanlitun has reclaimed the crown this year after their back-to-back victory in the 2015 and 2016 Beijing Burger Cup with their award-winning “Fryburger”—a beef patty topped with cheese, house aioli sauce, and a golden tower of beer-battered French Fries. Other delicious options include their signature wings, a sweet dessert selection, and (of course) their very own craft beer for the adults. Though their menu may be bold and adventurous, their venue is simple and aesthetic, a perfect setting for a family dinner out and about in the city. You can find Slow Boat Brewery at #6 South Sanlitun Street, Chaoyang District. If the kids won’t eat, let them run around in the Adventure Zone and work up an appetite! No, seriously, Kerry’s Kitchen Brunch at the Kerry Hotel in Chaoyang offers a kids’ play area in conjunction to their mouth-watering buffet of both Eastern and Western classics. The dining area is spacey and inviting, and their Buffet Package offers complimentary wine and beer for the grown-ups.